If you struggle with bathing and showering, we offer a range of products to help you. Whether you need a cast protector, grab rails, or even shower lifts, here at Millercare we understand that your needs are important and need to be met at a high standard. Below you will find our range of baths seats & boards for your comfort and health specifications. 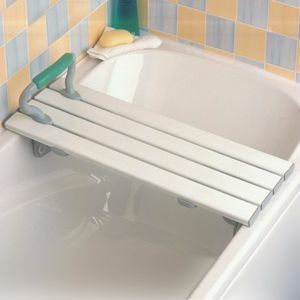 If you are in need of a bath seat, you will find a large range below. Bath seats are great if you struggle to get in and out of the bath. They are also great for elevating you in order to clean thoroughly. 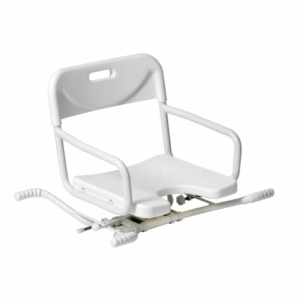 If you need a seat in order for your carer to help bathe you, we have a selection below that is great for ease of access in and out of the bathtub. 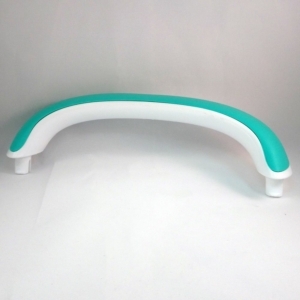 Many seats are also fitted with non-slip plastic, which means less worry when entering and exiting the bathtub. If you are unsure which bath seat suits your specific needs, why not head to your nearest branch and talk to one of our customer service advisors. They will be able to go through your specifications and find the best bath seat for you. If you are unsure where your nearest Millercare branch, use our handy branch locator tool. Here at Millercare, we understand that everyday tasks can be hard and be debilitating for some members of the public. Our range above is for those who tend to struggle wth entering and exiting the bath or shower. 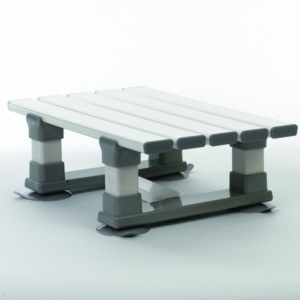 Our popular bath seat products allow for the user to lower themselves into the bath with ease. Some users may require a seat in order for their carer to bathe them. Our Homecraft bath seat is perfect for this user. 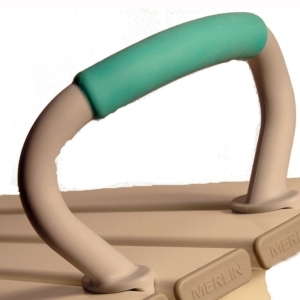 With sturdy grips, you will be able to enter and exit the bath without slipping. 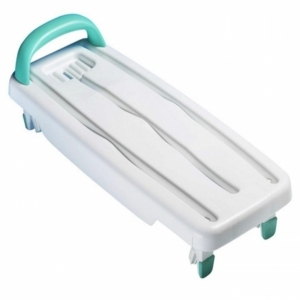 This item is also extremely lightweight and portable, meaning it's great for healthcare professionals who need to be able to transport bath seats. If you are looking for a shower stool, our Profilo stool is perfect. 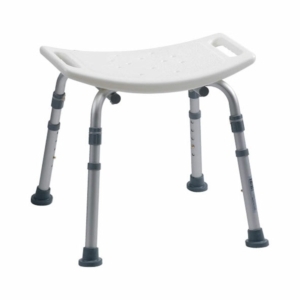 It is adjustable to fit your height, and also has a handy shelf to store wash items such as shampoo and body wash. Shower stools are great for people with limited mobility and can help with ease of access to the shower. Our bath boards are also great for those who need shelving in the bath in order to hold items. The Savanah Board has a great draining system and is easy to install in any bath with the right measurements. 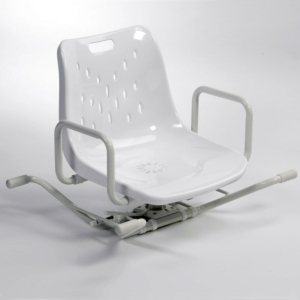 For more information on any of the bath seats or boards above, click on certain products - or visit us at your local Millercare branch. A member of staff will be able to find the perfect bath seat, shower stool, or bath board to fit your personal needs.